See also: North Carolina Rural Electrification Authority. Electricity's Impact on Rural Life. Although electric generation began in North Carolina in the 1880s, for most of the next 50 years electric service was primarily available only in the state's cities and towns. Extension to rural areas in the late nineteenth and early twentieth centuries was slow. 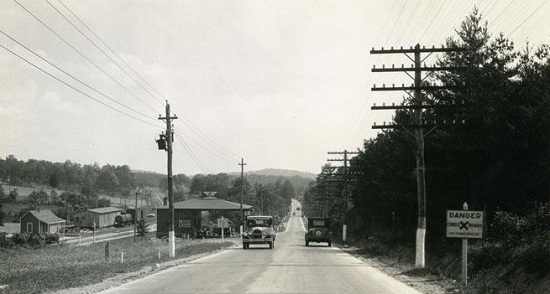 The development of electric cooperatives, particularly between 1935 and 1960, radically changed rural life in North Carolina. The onset of rural economic depression and a change in political climate led to increased awareness of the need for rural electric service during the 1930s. In April 1935 the General Assembly created the North Carolina Rural Electrification Authority (NCREA). Alone, however, the potential of this organization was not great. It had no independent power to set rates or to order the construction of new lines but merely worked with the state's existing electric companies to expand service or petition the North Carolina Utilities Commission. Nonetheless, North Carolina was among the first states to attempt to implement its own rural electrification program. The role of the NCREA was transformed when, beginning in May 1935, President Franklin D. Roosevelt's New Deal provided money for the extension of electric lines to rural areas through the federal Rural Electrification Authority (REA). The REA subsequently established electric membership corporations (EMCs) as the local mechanism for the extension of electricity to farmers. Nonprofit corporations with authority to own and construct facilities to provide electricity to unserved areas, EMCs were composed of member-customers who paid dues and elected a local board of directors. In North Carolina, the authority for organizing and providing electric service was the North Carolina Electric Membership Corporation Act of 1935. Under state law, EMCs were created upon application to the NCREA. EMCs could not get direct loans from the federal government but had to apply through the NCREA. The effect of federal dollars and state and local organization was dramatic. In 1935 roughly 3 percent of North Carolina farmers had electricity. The NCREA sent power through its first distribution line in May 1936. By 1940 about 24 percent, or 70,000 of the state's 278,000 farms, had electricity. Only 15 years later, in the mid-1950s, more than 95 percent of North Carolina's farms were electrified. Electricity changed not only personal living conditions on farms, providing light and the possibility of new appliances, but it allowed the use of refrigeration and other electric production devices. In 1958 EMCs in western and eastern North Carolina merged into the North Carolina Electric Membership Corporation. By 2006, North Carolina's 27 electric membership corporations were serving approximately 2.4 million customers. The corporations' service and territorial boundaries are regulated by the North Carolina Utilities Commission. D. Clayton Brown, "North Carolina Rural Electrification: Precedent of the REA," NCHR 59 (Spring 1982). Ken Soo, "Marking a Powerful Milestone: 50 Years Ago, Advent of Electricity Co-ops Began Brightening the Lives of Farm Families," Charlotte Observer, 12 May 1985. "Rural electrification" at LearnNC.org. http://www.learnnc.org/lp/editions/nchist-worldwar/5832. "PHOTOGRAPH, Accession #: H.19XX.317.29" North Carolina Museum of History, circa 1910-1920.